Never let it be said that I make rash decisions. Especially when it concerns something that 'looks right to my eye' - even if it's wrong. Some 5 years after originally building my first 'bitza' Yema Spationaute III (deliberately, but then unknowingly using the wrong polished stainless hands) and after hours of deliberation at the weekend, I eventually decided to bite the bullet and re-unite the 'Mission Flags' dial with its original silver-painted handset which I'd recently had sympathetically re-lumed by James Hyman. I think it looks better now. 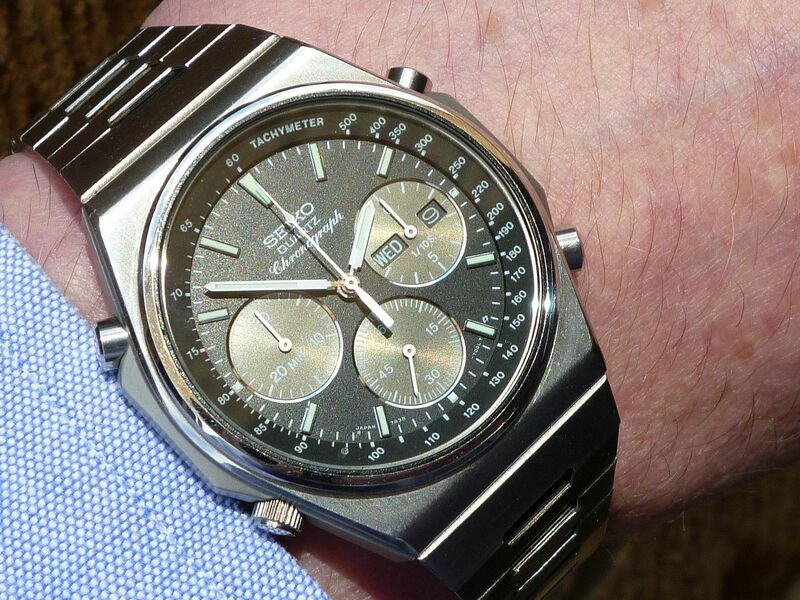 With the original silver hands it is more legible, no doubt, but the polished stainless steel hands were, in my humble opinion, a bit better, more "flashy". 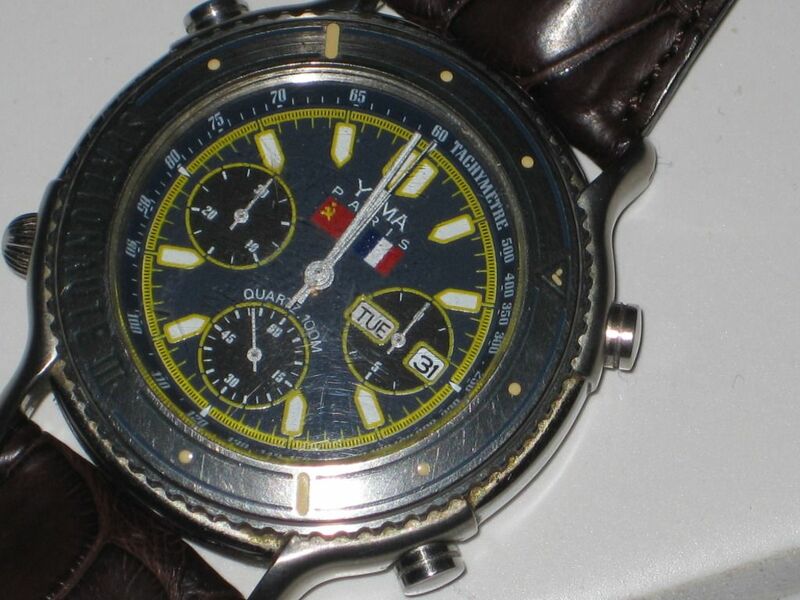 Yet maybe the purpose was not to be "flashy" but rather "legible", in space, where this watch was intended to be used, so I do agree the original "work" better. Thanks for the comment, George. 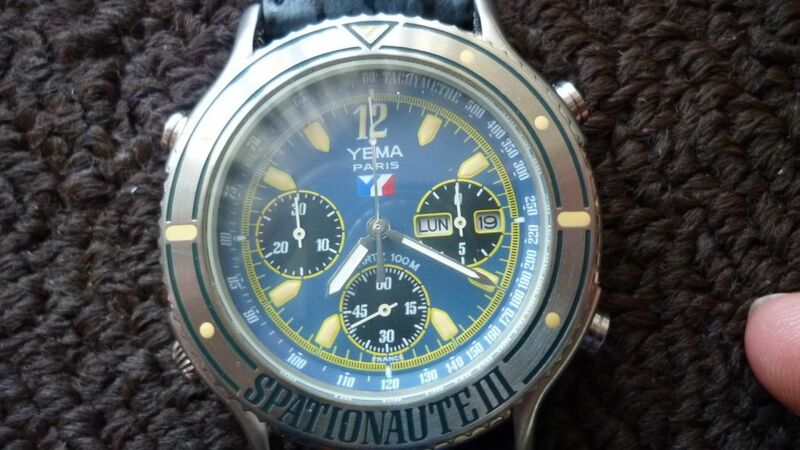 But you've overlooked one factor - the original prototype versions of the Yema Spationaute III which were actually worn in space, like Michel Tognini's watch, used a different set of hands to the production watches - silver painted, Yes - but much slimmer, with a correspondingly smaller area of lume. I started off this hand swapping exercise with another purpose in mind. The incorrect polished stainless hands I'd originally fitted (for want of anything better) to my 'bitza' Spationaute III had slightly yellowed lume. At the weekend, I then fitted that set to another Spationaute III, which I'd given the pet name 'Old Yeller', for obvious reasons. Although not a particularly close match for the rest of the yellowed lume on the watch, it goes some way to toning it down, compared to the way it looked before. 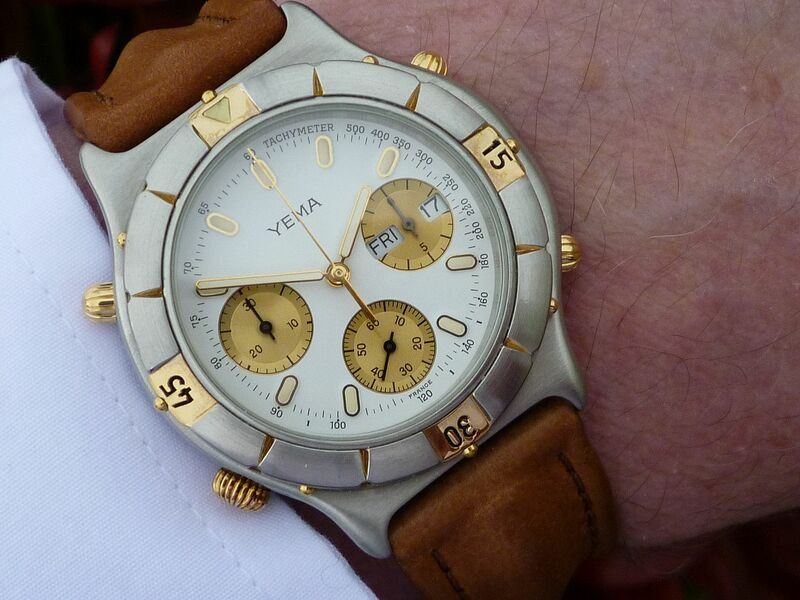 Incidentally, this combination of polished hands and dial with yellowed lume batons (and full complement of dial printing with the 'Y' logo) is also a known good 'correct' configuration. 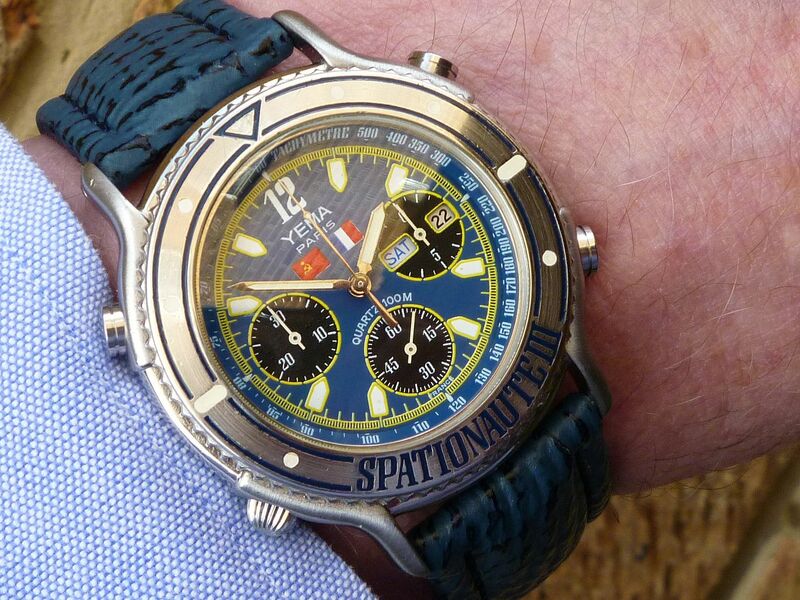 As seen on this example for sale on Chronomania in 2010. As indeed it seems you were wearing your 7A38-7240, possibly for the last time on Saturday, Simon. You know I wouldn't have complained if you'd posted it here. Hopefully it's just gone to a good home. 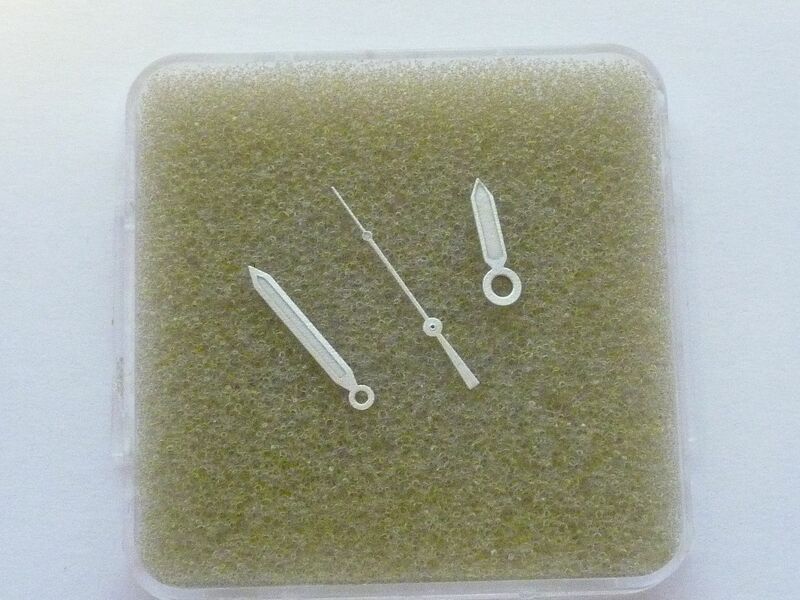 PS - this part of your eBay listing description made me smile: very clean and free from botchers marks. With the abundant sunshine available today, a photo was called for. 7A38-7060 transplanted into the 7A48 case picked up off eBay. Sometimes on sunny days (even in England) you gotta look for a bit of shade Paul. Click here for the previous frame I rejected. Another tweak is to try angling the watch so you get the right amount of light falling on the dial, rather than shooting it 'head on'. 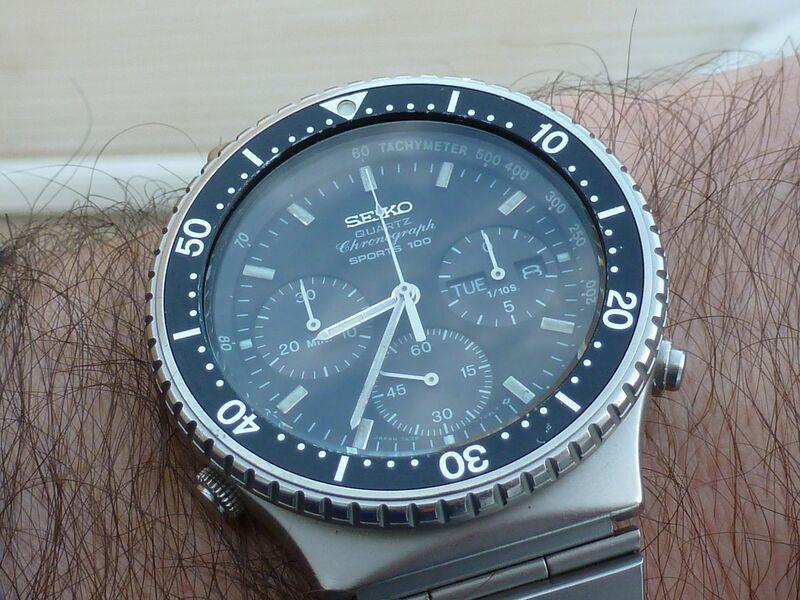 Something 'conventional' for me this afternoon, for a change - a 'regular' Seiko 7A38: my 'second string' 7A38-7000 SAA007J. Head-on, 45° angle... Nope not here. 7A38-706A on a road trip this morning in Zion National Park, Utah. USA. Superb action shot, there Paul. Enjoy your road trip. 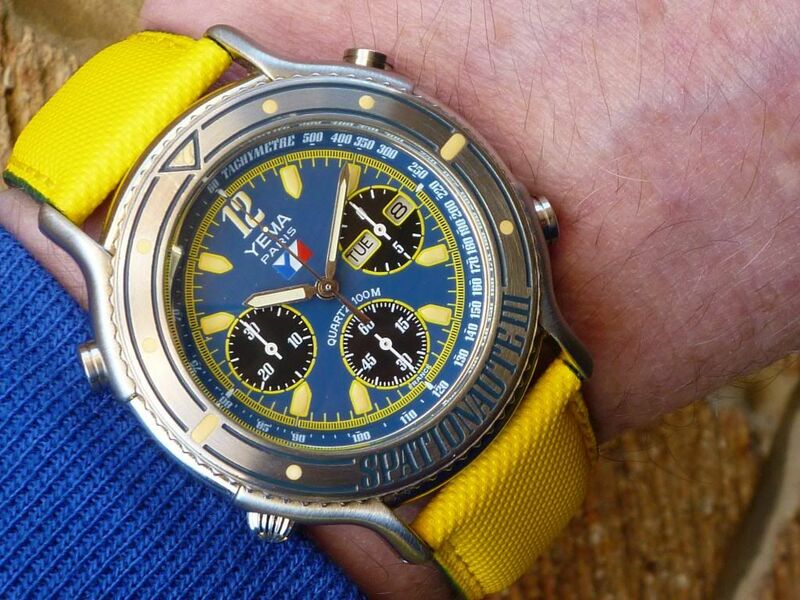 Typically boring 'stock format' wrist shot from me I'm afraid. 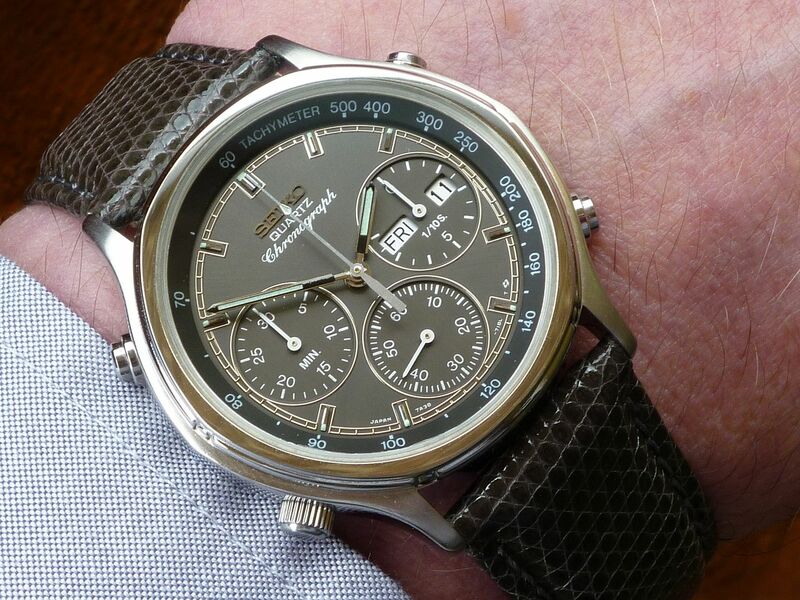 7A38-7260 SAA097J on dark grey lizard strap. Wearing my classic 7A28-710A, out riding my classic GT LTS-1000DS ! 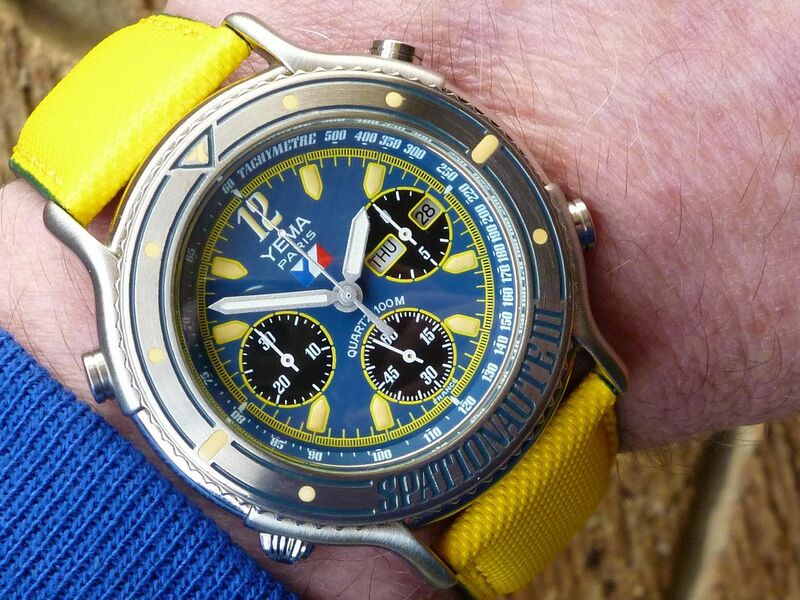 The bright yellow dial always cheers me up. Well there's a first Chris ! Look forward to seeing you posting (photos) in the WRUW thread more often. 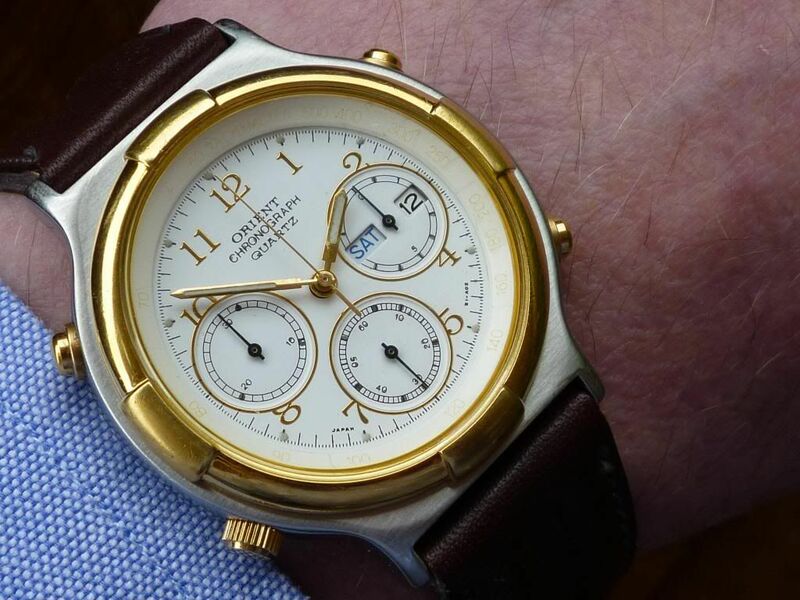 Light's been pretty poor today, but I thought I'd try and do a better shot of this little Orient J39002-70. The last time I posted one the light was similarly crap, so I tried to enhance the image (not something I often bother with) by increasing the colour saturation. Fail. This one's not much better, but it's in 'natural' colours. 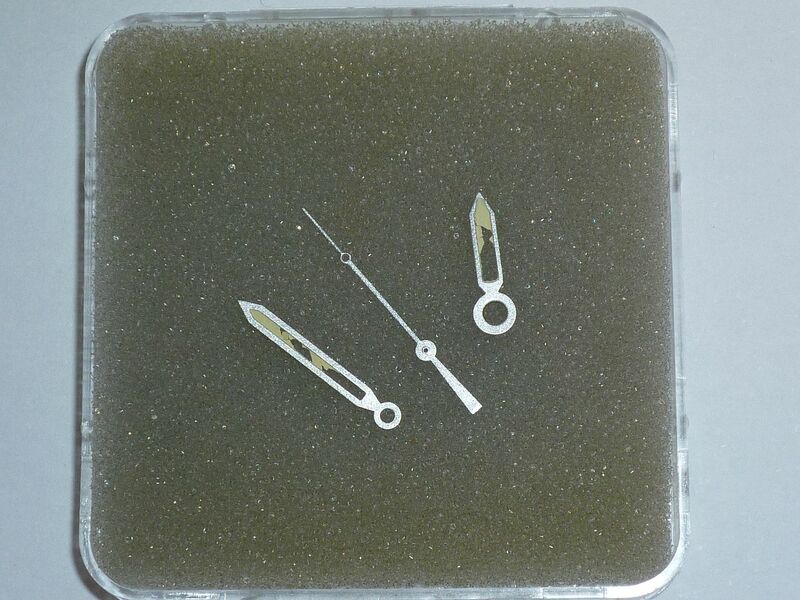 Shows the water-damaged dial printing and the 'invisible' Tachymeter scale. Since I've got it out, might as well post it. 7A38-706A. Took a little time to get the picture. The sun is so bright that even in the shade the reflections are crazy! Had to tip the watch up a bit. But now the face is a little too blue. 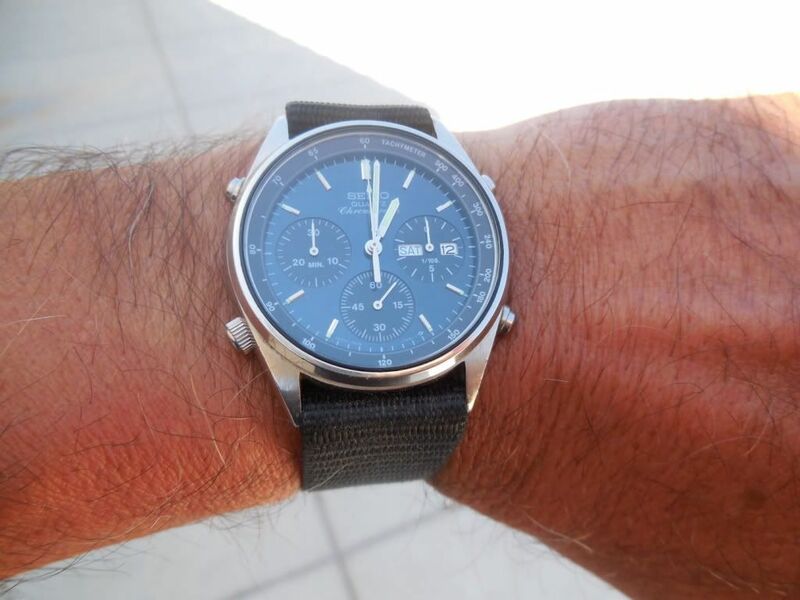 Haven't found a suitable strap yet, however most of the time the face looks black so this Maratac Mil. spec works fine. Paul in Sunny Las Vegas. 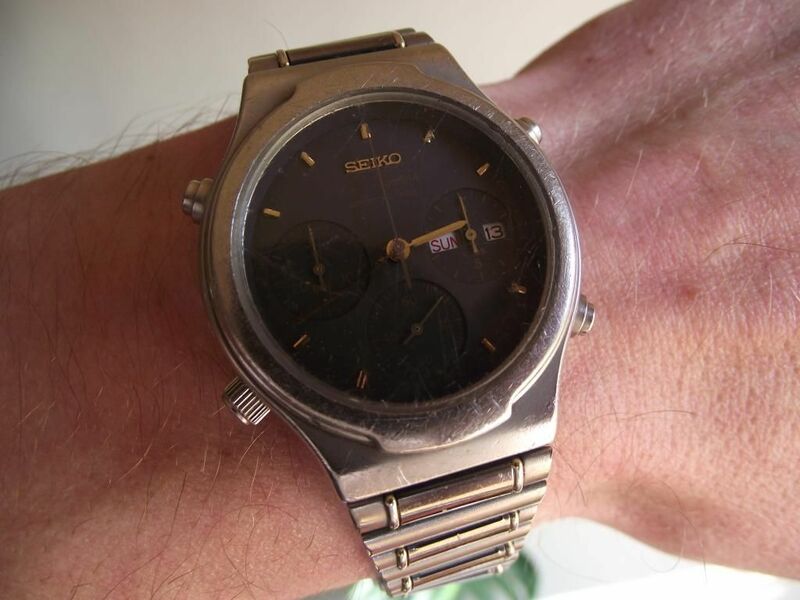 Reason I'd got that little Orient J39002-70 with the moisture damaged dial out yesterday, was that I was contemplating turning it into a J39 Franken. It was something of a 'bitza' already. 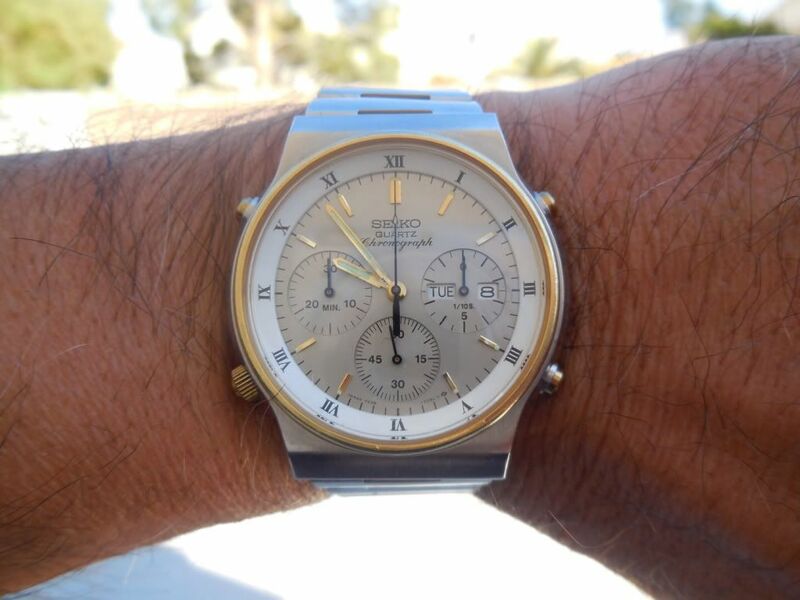 I was possibly going to drop the dial / movement and Tachymeter ring out of my very recently acquired Racer J39026-70 beater 'resto project' into it. 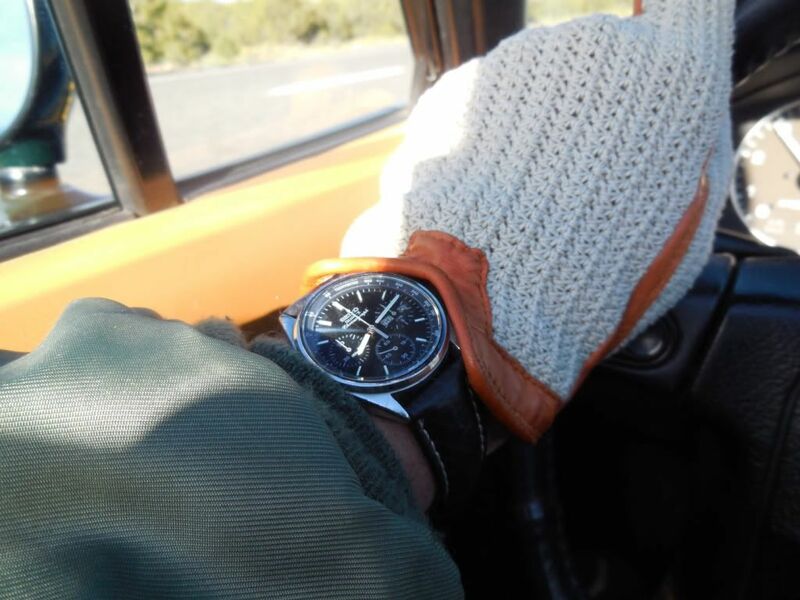 If nothing else, the Oxblood coloured Orient leather strap I'd fitted to it was a close colour match for the Racer dial. As it turned out, an overnight soak in Flash followed by a few squirts of WD40 and a bit of welly did the trick. It lives to fight another day. 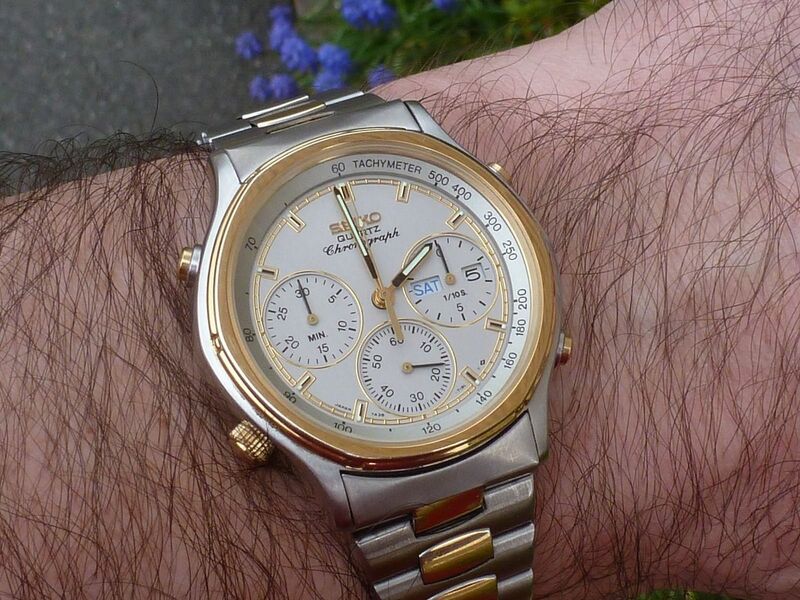 Without further ado, here's my entry for the tattiest non-Seiko 7A38 wrist shot for 2014. 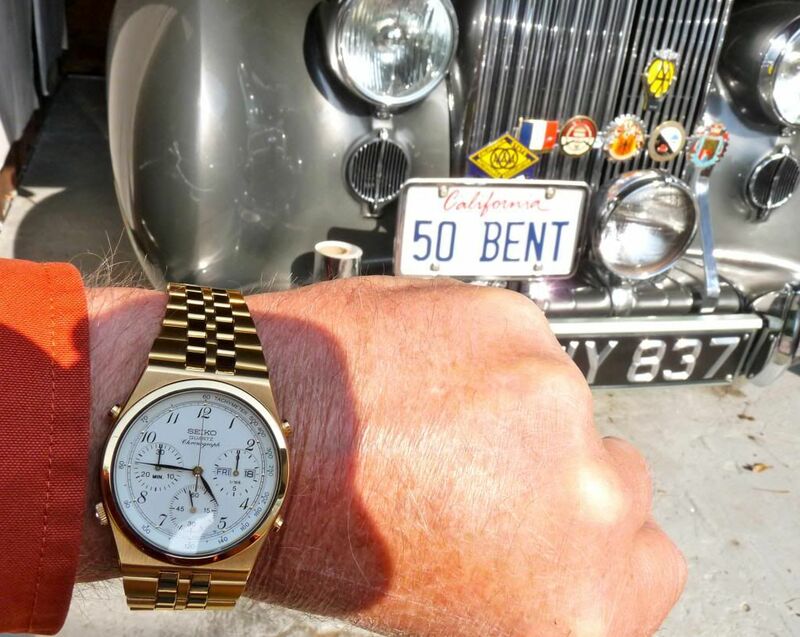 Racer J39026-70 on it's mostly original but badly botched two-tone bracelet (still fitted with one non-original end piece at the bottom). 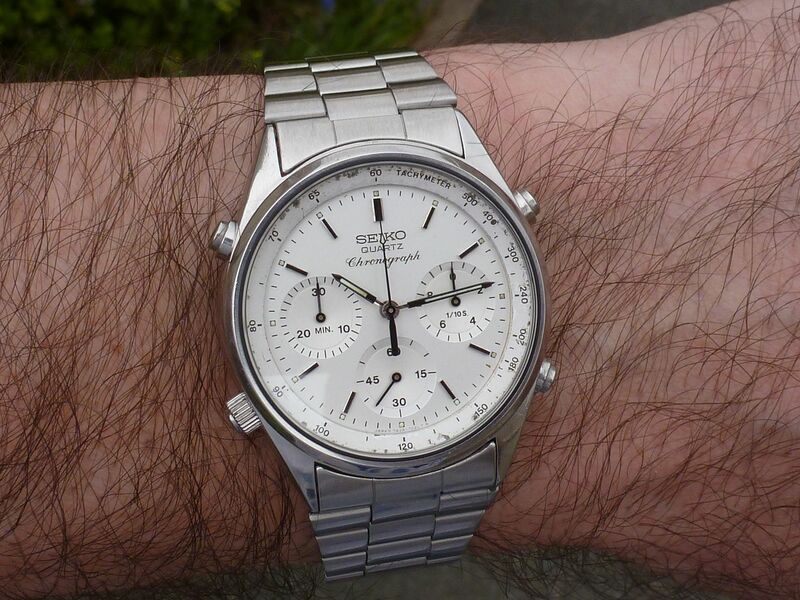 On this sunny Sunday, I am wearing this Seiko 7A38-7120 sports150. I am wearing a beater while I work on a Ribble 14-speed road bike I recently bought for a song. 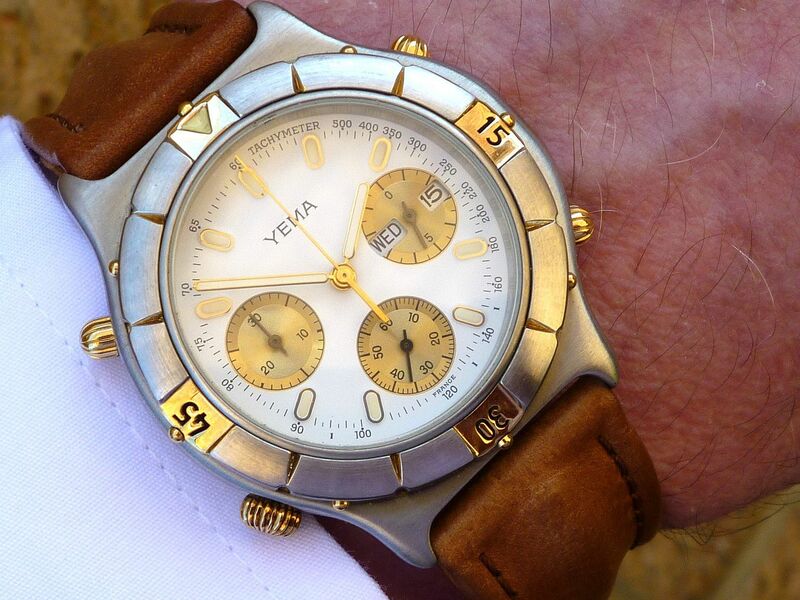 This watch is heavily worn, but the movement, dial and hands are perfect. The buttons still have that nice clicky feel when used, I am pondering whether to use the movement for a better condition watch or refinish/sandblast this case/bracelet. Nowt wrong with a good honest 'beater', Chris. 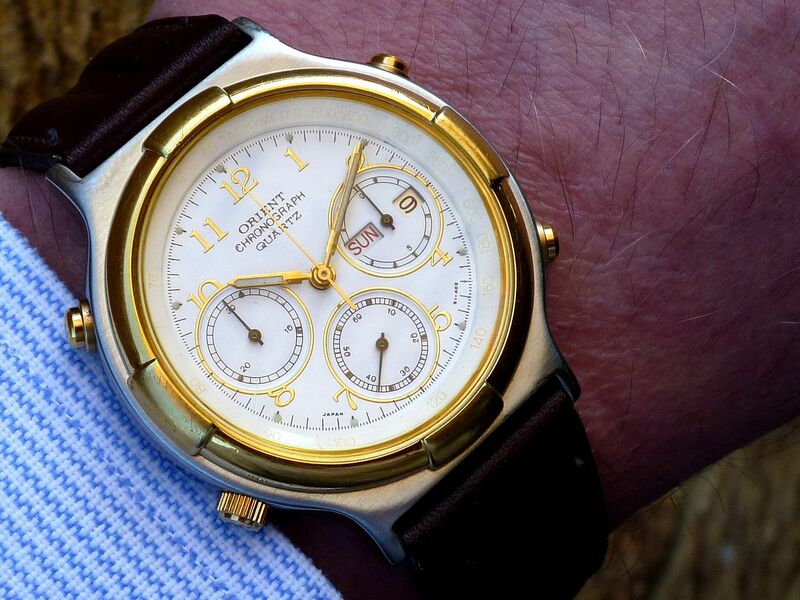 Indeed, I sometimes wonder if my posting wrist shots of pristine examples deters other forum members from sharing photos of their possibly lesser examples. I've got more than my fair share of rough un's too. This one's a favourite 'beater'. 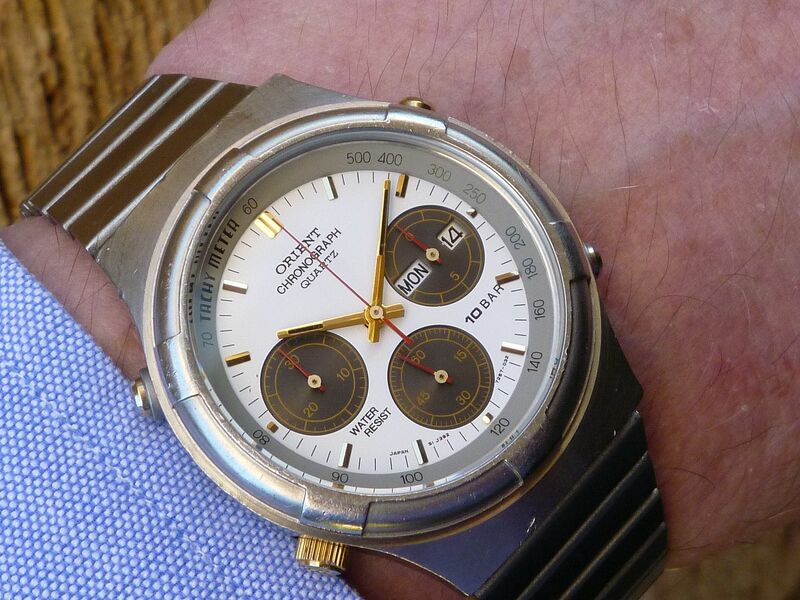 My Orient J39725-70 'Panda' with knocked about case on a cheap and nasty Feiko repro' bracelet. I got this out this morning for another reason. I wanted to check on something. 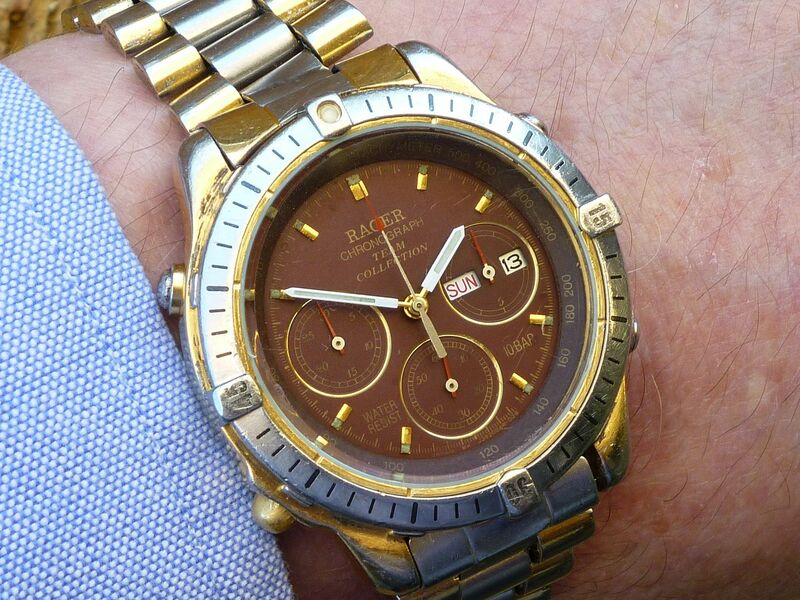 Notice the sub-dial hands. Look vaguely familiar ? 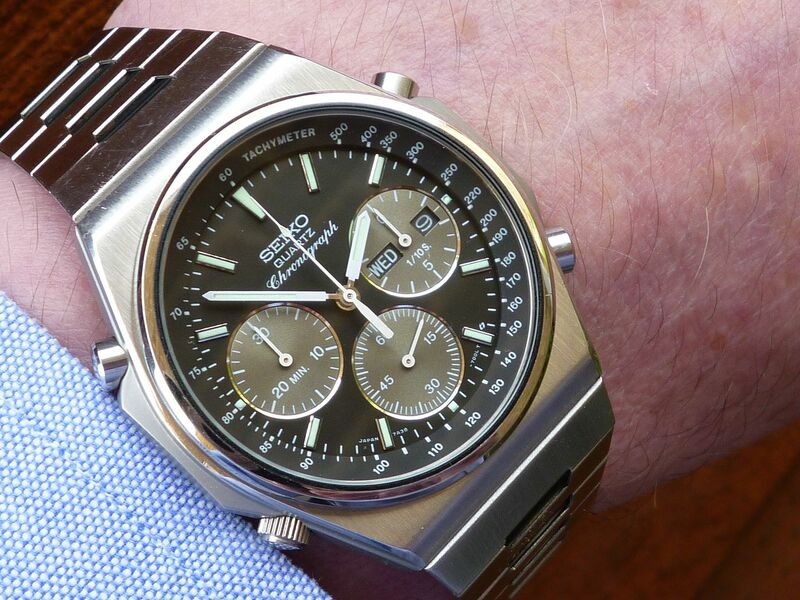 Check out the Racer J39026-70 that I posted yesterday - another example of Seiko / Orient / Racer / Puma 'parts bin' components. 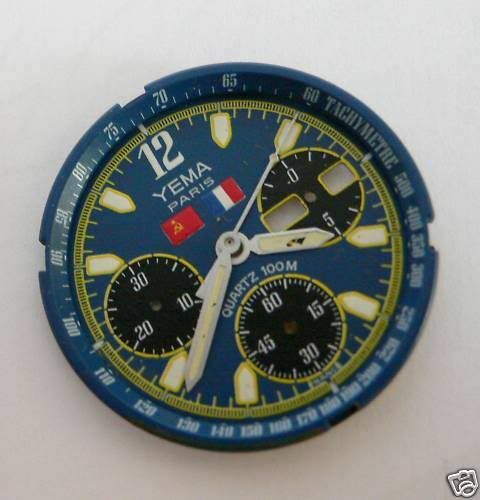 Just trying on my newest incoming Yema N8 OP896 'Pseudo Plonguer' which arrived in this morning's post, all the way from Korea. 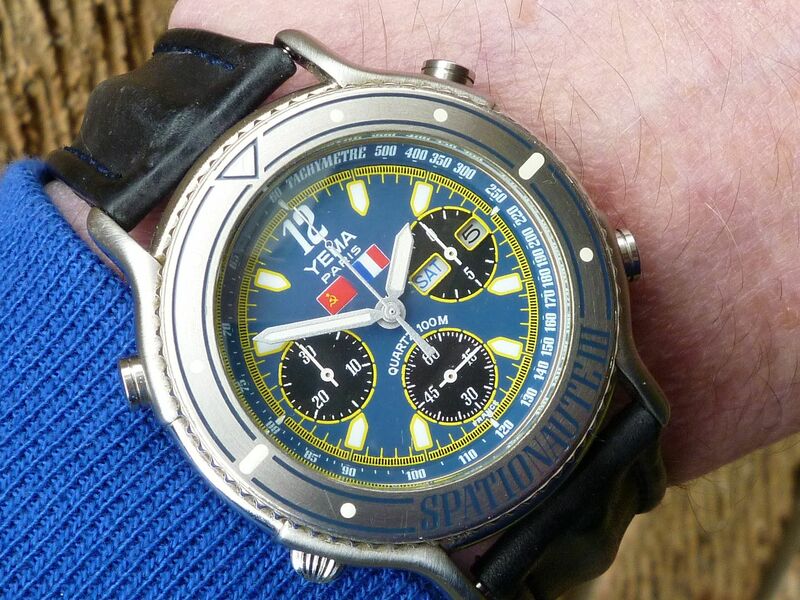 Apart from being slightly grubby, it appears to be unworn (the strap certainly hasn't been) - in almost NOS condition. 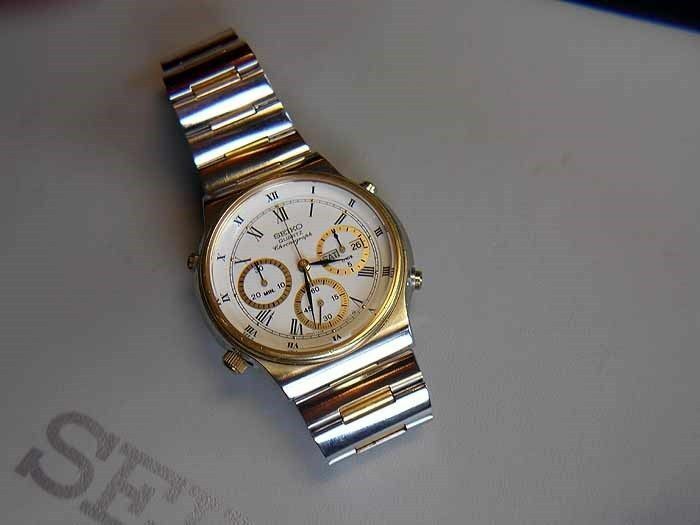 The fault with the chrono' sweep hand (reset), described by the eBay seller in his listing, should be the easiest to fix, ever. Yery nice Simon. Not too flash. 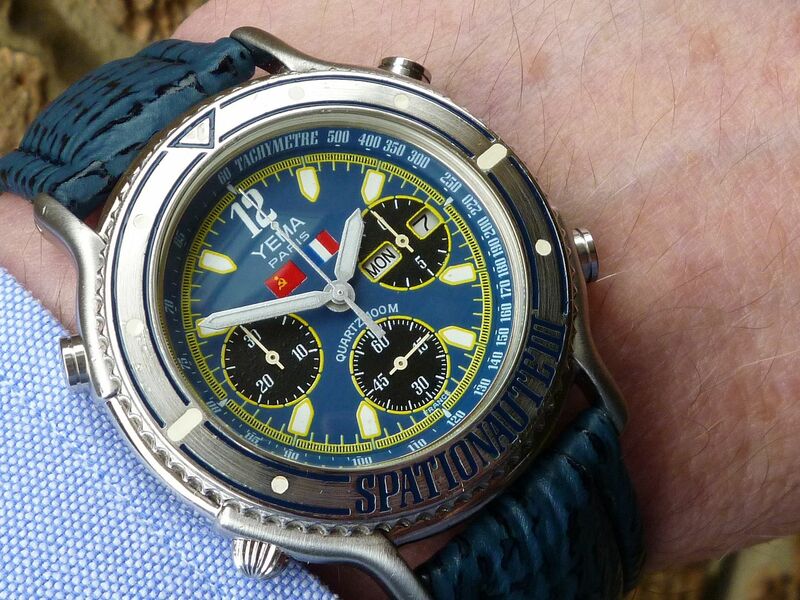 This time with the correct day and date showing - and the alleged (non existant) chronograph 'fault' fixed. See this thread. 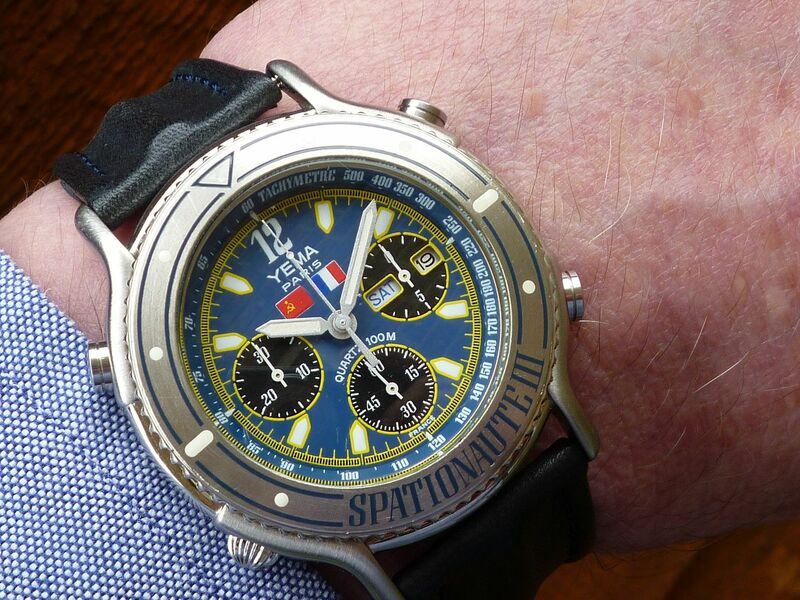 Wearing my recently acquired relatively bargain priced Yema Spationaute III Aragatz, with Mission Flags dial, again this morning. Now sympathetically cleaned up and the original sweep second hand with the missing lume pip replaced (courtesy of 'Old Yeller').